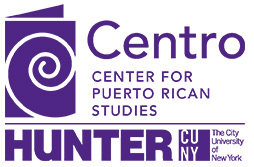 The authors included in this special volume of CENTRO Journal offer the most current elucidation of the history, interpretation, and implications of the granting of U.S. citizenship to Puerto Ricans in 1917. As Professor Venator-Santiago indicates in his article, “The Jones Act of 1917 was neither the first nor the last law enacted by Congress containing a citizenship provision for Puerto Rico.” That statement is more accurate today than ever. Puerto Rican U.S. citizenship is as contested now as it was in the decade preceding the enactment of the Jones Act. In part, its contention is given by the territorial status of Puerto Rico. However, regardless of the future political status of Puerto Rico, the granting of citizenship to Puerto Ricans in 1917 cemented the permanent and irreversible incorporation of its people into the American polity.